Not bad not bad Laurent! The pics are amazing as ever, and that mackerel dish really looks quite interesting! Wonderful. I will book a table there asap. Looks better than Dahlgren in Stockholm. WOW! I live just 2 hours away by car. Now I have to go there. et bonne année 2010, riche en découvertes et en grands moments de plaisir! Bravo pour cet article assez époustouflant, ça donne envie d’aller au Danemark rien que pour ça…Petite question: quel budget faut-prévoir chez Trio pour se faire plaisir? A bientôt, et au plaisir de se revoir! I so have to book a table there now. I live just 45 min away. Why is this trio not more famous here in Sweden. Shame on us. (Mistral from Stockholm is also invited there). WOW! I just found this blog. I didnt know that Trio was that known. They are great! Looks a lot like Noma, no? 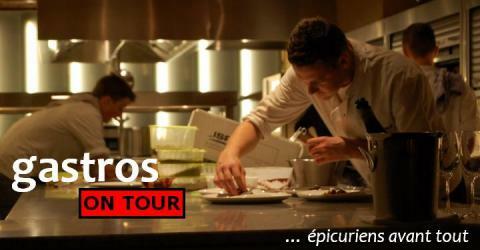 @Luxeat: I dont think that Noma and Trio are the same. I belive that Trio are great when it comes to bio-wine and the dear was wonderful. Nomas deserts are great. Yes they are in the same area but Trio use more swedish products and less fat than Noma that are danish. bonjour et merci de cet association culinaire avec le carignan blanc , j’espère que le vin a répondu a vos attentes! Wonderful pictures. We were at Trio just a couple weeks ago and it was splendid. How they can be so creative in al this snow. The chefs Ola and Sebastian must be twins. The passion that they feel for the food was amazing. We had lunch at Noma a while ago and I must say: not really up to Trio standard. 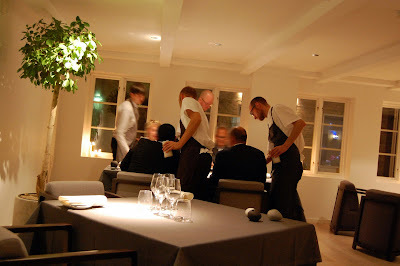 I just love the clean japanese feeling at Trio and feel a little bit oily of the danes Noma. Well Noma probobly visits Trio a lot.